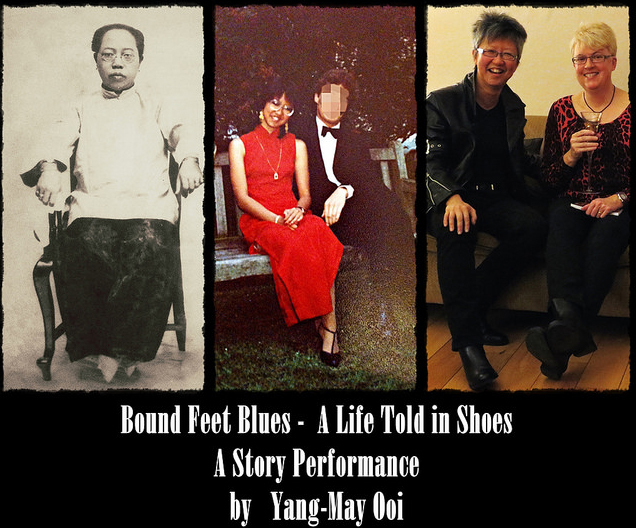 A thought provoking and moving one woman show, Yang- May Ooi shares her own life experience through the shoes she has worn and compares how the shoes we wear affect our lives and perceptions of us to the Chinese practice of foot binding. Yang-May Ooi shares fascinating insights as to how the lives of generations of her own family were affected by having their feet bound..or not! Is this tradition of binding feet in order to pursue ideal beauty so different to what we do today in terms of nips and tucks to achieve perceived ideals? Although we may think of foot binding as barbaric, was the creation of the Golden Lotus foot, created through binding, breaking bones and cutting tendons in order to have the ‘beautiful’ feet to capture the best husband any different today to women going under the surgeon’s knife for larger breasts , smaller noses in order to achieve perceived ideals. As Yang-May talks about her experience of tottering in stiletto shoes as she created what was thought of as the feminine ideal to attract the perfect boyfriend, she contrasts this with the freedom of going barefoot where she could be herself, and the relief at wearing Chelsea Boots once she finally lived her life being true to herself and accepting that she was gay, and her ideal partner was a woman. Yang-May’s show illustrates her move towards living the life that she wanted to live as opposed to the life she was expected to live through her choice of shoes. She emphasises how the expectations arise from love of family…even the binding of the young girls feet in China came from the love of mothers wanting the best for their daughters. 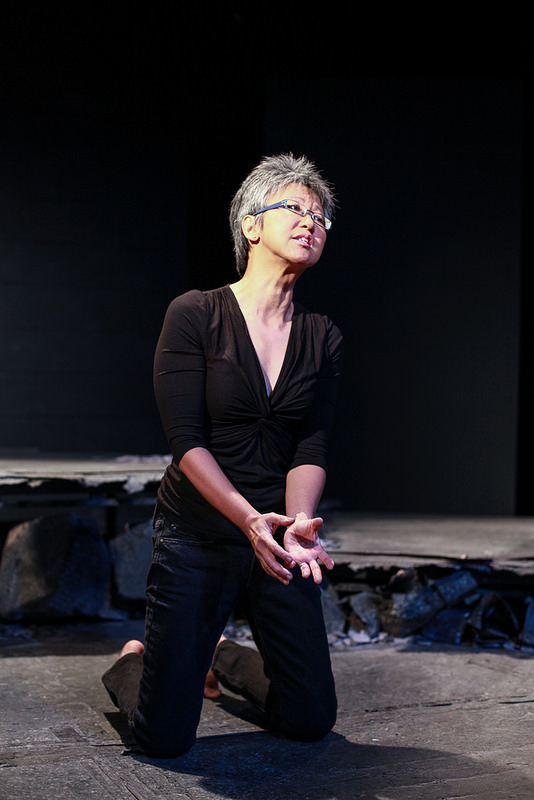 Yang-May holds the stage with her incredible ability to story tell and engaging personality. Small in stature with but huge presence and personality. Bound Feet Blues …a life told in shoes is definitely a show to go and see. If you can’t get to see the show then I can highly recommend her book! Love your midlife feet. Get them summer sandal ready!